A very rare original programme for the Annual Swallow Coachbuilding Co Employees outing to London in 1931. 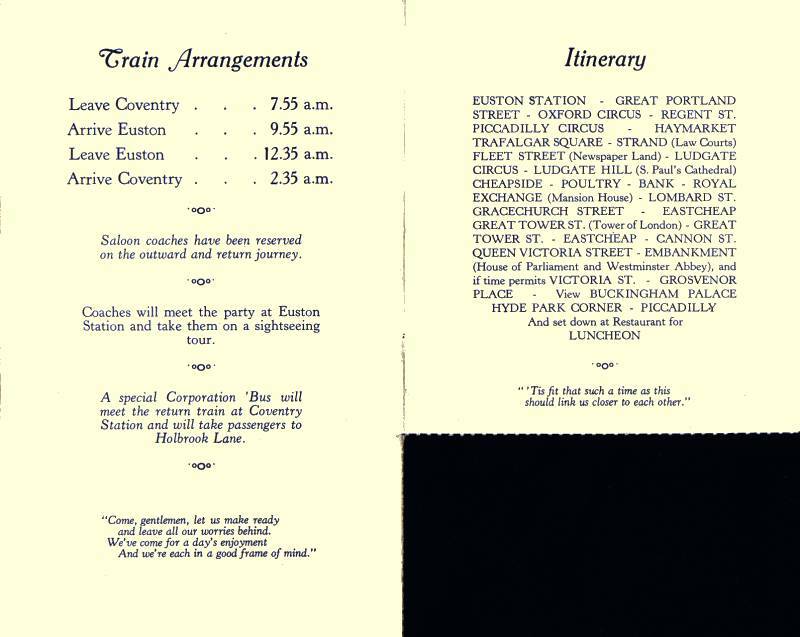 It included a coach tour of London and Luncheon. 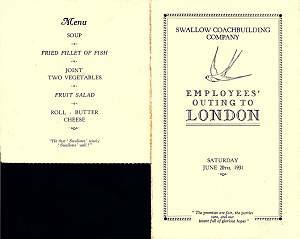 The luncheon ticket is missing from this one so presumably someone had a good time nearly 70 years ago!